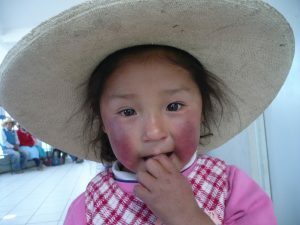 The Potter’s Hand Foundation- Loving and serving the children of Peru! I wish to take this opportunity to share my hopes and vision for The Potter’s Hand Foundation and our calling to love and to serve the children of Peru into the coming year of our Lord, 2019. As we close out this year it has been a time of personal growth and defining time for me as I have lived and served here in this wonderful country. And had many special moments with the children and the people. Especially in the more remote areas I have traveled. I am also blessed with my recent and growing relationship with Potential Church of Lima. A wonderful community of believers and faithful servants in this body of Christ. I am also grateful for folks back home in the USA for their understanding of my calling, their prayers and financial support for the PHF. Without this support, it would not be possible for me to serve here. So, thanking God our Father and you all for all you do and for being a blessed partner in this journey of faith. It has been a year of personal growth and as I look into the face of my Father God, I have this great sense that the coming year and even beyond will be blessed in many ways in our service to the children. And that is the essence of this journey, to love others as Christ loves! Hands and feet of Christ as we go and as His love flows through us by virtue of the promised Holy Spirit indwelling in us. 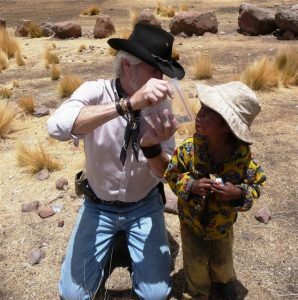 So, it is my hope in the coming year to continue to provide this love and a very special nutritional supplement to children in need and at risk in the more remote regions. And even more!! This in partnership with Potential Church of Lima and other faith-based church families and Pastors in these regions. This requires walking and working by faith as alone it would be impossible for me, a simple cowboy loving and feeding children to accomplish anything. I have learned much in my eleven years here, have been blessed to feed many children and to serve in many areas and there is so much more I hope to do. And I can’t do this alone. So, again I am very grateful to those folks who have prayed for me and supported our foundation. The Potters Hand Foundation is a project of United Charitable – a registered 501(c)(3) public charity. So as this year is coming to a close, we pray for continued and increased understanding of our vision and to grow our support base. I am reaching out to you with a simple request. Would you consider making a one-time or monthly donation before the end of the year? Whether you eat or drink, or whatever you do, do all to the glory of God. . .. And whatever you do, in word or deed, do everything in the name of the Lord Jesus, giving thanks to God the Father through him. An update on my calling to love and to serve the children of Peru! It has been some time since I have posted an update and this is my effort to rectify that. On sharing with folks on my journey here in Peru. I’m doing good here and we have movement in our efforts to develop our nutritional supplemental feeding programs here for children in need and at risk. I have a nice little apartment in a good location in Lima. A room and bath for now. I hope to get a full apartment by the end of the year. Yesterday was my Princess Aleli’s 22nd birthday and we will celebrate tomorrow. She and her Prince Patrick are doing very well and it looks like marriage is coming in February. I have made one trip up into the Andes of Arequipa and planning on another in December. This one will be to do some Christmas fiestas for children in four villages up there. 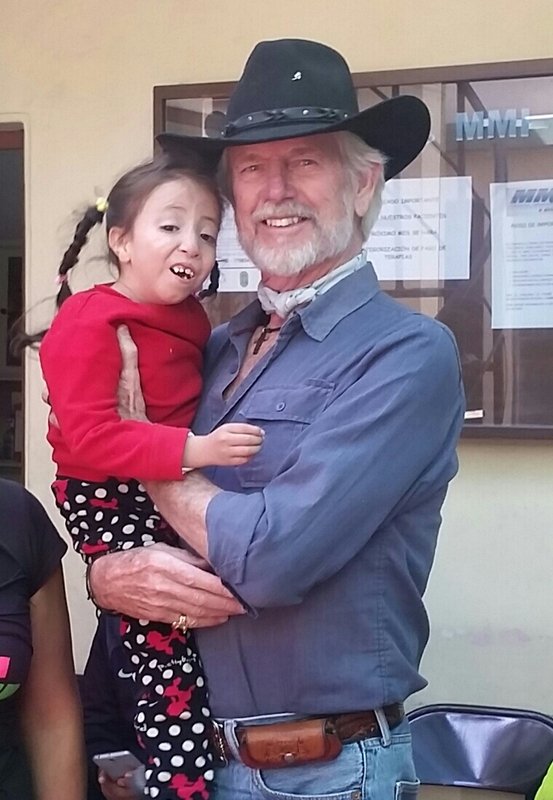 I, as The Potter’s Hand Foundation, now have a working relationship with a very strong Peruvian ONG (NGO) here in Lima. Ayuda en Accion (Help in Action). They are originally out of Spain and serve in about 21 countries. 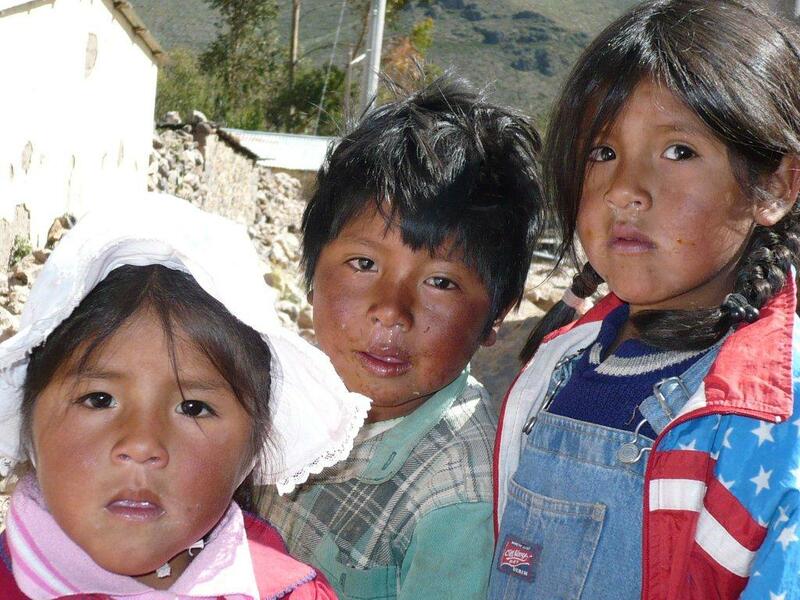 William of AeA has agreed to help me get our nutritional programs into the poorest regions of Peru where they serve. They will pay for our logistical needs to travel out there and also help with staffing to begin and continue our feeding programs. These will be deep into the Amazonas jungles of northern Peru and into the poorest regions of the high Andes such as Huancavaleca, Ayacucho, Cuzco, etc. Very much a blessing from God!!! The Boy in a Canyon! I still need a working relationship with another Peruvian NGO to receive our Reliv products which I will pay for by God’s provision. That is in the works too and I hope to have that relationship established soon. It looks like I may have time to go into the Amazonas region later this month with the head of AeA’s team to learn, develop locations, logistical needs and more. Then I am planning on traveling back to Florida on October 9th so I can go to a Reliv event in Orlando October 12th. My hopes are to get all the relationships, the logistical and governmental requirements done by the end of October, or in November so we can purchase and get product shipped into Peru by the end of November or early December. Much to pray for and work for. I also am blessed with a strong church relationship here in Lima with the main church being in Fort Lauderdale, Fl. This will mean a lot to me also as I hope to get more people here involved, especially young people to help me in years to come. This will free me up to do more. Anyway, much to the story as usual and I am excited about the future. I want to praise God our Father and thank everyone for your prayers and support. It means so much to me and this calling I have. We are blessed to have folks helping support the PHF monthly which is wonderful and I am working to grow that base. And I surely am grateful to all who know my heart and my calling to serve. Thanks to everyone for friendships, understanding and support. It’s like God is bringing all to fruition as I walk my walk of faith and this fundraising thing is my next personal and foundational growth step. I am very hopeful for my time back in the colonies in mid October. I may be in Florida till early November on my fundraising crusade. I have a great couple I am staying with in Jupiter, I have help with a rental car and I hope to hear very soon about a donated flight with Avianca Airlines. I appreciate everyone for your thoughts and prayers most of all. This is an amazing journey, has been very hard but fruitful and I trust in the direction God is providing. Blessed to serve, making a difference! A new year is near in which to continue to love and to serve the children of Peru! A new year is on the horizon and a continuing opportunity for The Potter’s Hand Foundation to continue to grow, to love and to serve the children of Peru. After ten years in this calling it seems brand new again as we are blessed to continue to make a difference in the lives of the children through nutritional programs and soon to expand into providing educational opportunities to children in remote areas of Peru. We are very blessed with those who know of our calling to serve in Peru and who have supported us with prayer and also much needed financial help. We can not act alone and it is our prayer that all would consider praying for this ministry and consider joining us in this journey of love, making a difference! Please consider a year end donation to The Potter’s Hand Foundation and also we would love to have you join us long term by making a monthly contribution in even small amounts. Small amounts by individuals multiplied by many is a wonderful way to share in this calling to answer God’s commandment to love one another even as Our Father loves. Now join with us as we go out to fulfill our purpose in this world of need. Making a difference, walking and working out our faith and sharing Christs love to the children of Peru.